MyConnect® creates an extensive network of root-like extensions that gives the plant a maximized access to nutrients essential to its growth. MyConnect is a powerful organic inoculum that surpasses economic results you would achieve using only chemical fertilizers, while reducing your environmental footprint. MyConnect proprietary technology combines science with age-old natural elements, such as mycorrhizae, that contributed to sprout greenery on our planet since the beginning of time. MyConnect is the result of many years of research that allows you to adopt sustainable practices while improving yields and plants’ health, in addition to generate more profit than conventional practices. Mycorrhizae with MyConnect® technology are RISEHoP’s flagship products. They are of the highest quality and come from two separate production lines. One of them is powered by a revolutionary bioreactor system, an innovation exclusive to RISEHoP. This world exclusive process allows us the capacity to produce the most pure, resistant and effective species of mycorrhizae, with the quality and volume necessary to answer the growing global demand for bio-fertilizers and powerful agro-ecological solutions. MyConnect product line is compliant with Canadian organic standards CAN/CGSB-32.310-2015 and CAN/CGSB-32.311-2015, as reviewed by ECOCERT CANADA. Mycorrhizae are highly specialized natural connections formed between plants and beneficial soil-occurring microorganisms called the arbuscular mycorrhizal fungi. 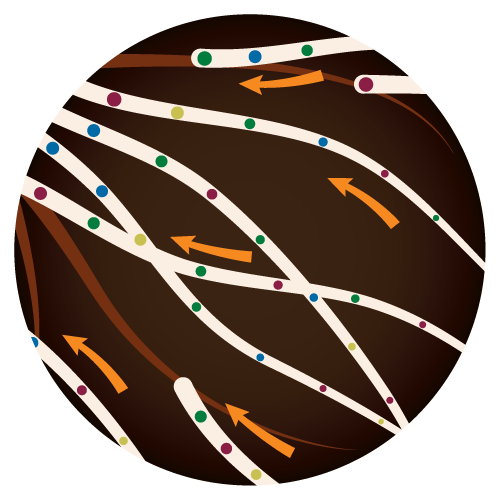 The process occurs as the fungi connect to the root system and develop a massive underground network of filament-like extensions, enabling plants maximized access to soil nutrients and water. This interaction is the foundation to plant’s health and soil fertility. See frequently asked questions about mycorrhizae. 1Berruti et al. 2015, Frontiers in Microbiology, 6: 1559.